I stumbled across that epigraph quite by accident recently, during my online travels through social media. I liked it enough that I made it the introductory inscription on my Facebook page — no, I’m not above stealing — and I’ve seen nothing since to suggest the inscription is in vain. One of the unintended consequences of growing old, the novelist and raconteur Paul Theroux wrote in his Siberian travelogue Ghost Train to the Eastern Star, is being confronted by the same old arguments, made time and time again, often by younger people who carry on as though they’ve thought of that argument for the first time. And so, with Dynasties, a new BBC natural history program about to make its debut on BBC (Sunday, Nov. 11 on BBC One and Nov, 17 on BBC Earth; Jan. 19 in the US, on AMC Networks’ BBC America), presenter David Attenborough is once again having to defend his approach to wildlife documentary filmmaking against environmental activists who insist that, by focusing on nature’s wonder and deliberately side-stepping the human-made catastrophe facing the world’s last wild places, Attenborough is being part of the problem, not the solution. 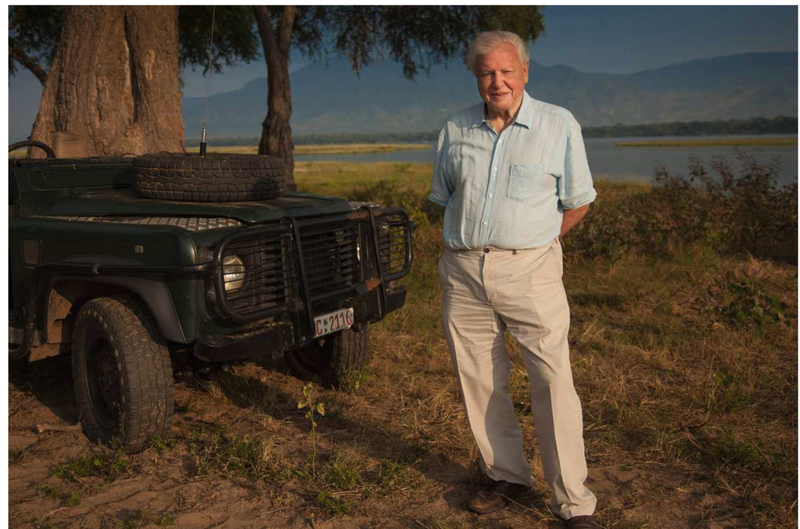 At age 92, Sir David is more easily irked than he was at, say, 32, when his early BBC effort Zoo Quest, a studio-bound program featuring animals from the London Zoo, let alone at 52, when his landmark, career-defining series Life on Earth changed the way many TV viewers viewed the natural world. Attenborough has devoted the final episode of virtually every nature program he’s ever made to climate change, the environmental crisis and the looming mass extinction, he recently pointed out in a pithy exchange in The Guardian, a fortnight before Dynasties’ BBC debut. This didn’t start with this year’s Blue Planet II, he said testily, even though few programs he’s made have had the real-world impact of that series’ final episode, in which he focused on how our careless use of plastics is killing the world’s oceans — and getting into our food chain, whether we like it or not. Science and technology can only do so much to counter humankind’s consumerism, rampant greed and penchant for excess. That’s the real danger, Attenborough insists. The issue is not whether he fails to constantly remind you that virtually every wondrous, living breathing wild being you see in one of his eye-filling nature programs is staring extinction square-in-the-face. The worse danger, he argues, is that by being constantly told that the problem is so big it’s insurmountable, it becomes all too easy for the viewer at home to toss the remote aside and go back to noshing on Chilean sea bass and farmed salmon, chowing down on hamburgers and steaks made from soybean-fed cattle, and wrapping everything in plastic, all the while filling the gas tank to the brim, keeping the lights on all night and cranking up the air conditioning and/or central heating to the max, and leaving it there until winter or the spring thaw. Regardless of what you think of him, Attenborough’s touch with ordinary, everyday people was apparent following the airing of Blue Planet II, perhaps proving his point: Millions of people around the planet tuned in, and his efforts — in the final episode especially — was credited with pushing the issue of plastic waste in the world’s oceans higher up on the political agenda. Attenborough might argue, too, that had he pushed industrial fishing and overconsumption into Blue Planet’s agenda, as some environmental activists demanded he do, he might well have lost viewers rather than gained them. Dynasties was filmed over two years in five locations, including Kenya’s Maasai Mara National Reserve, famous for its lion prides and the setting for one of BBC’s more popular natural history programs from the 1990s, Big Cat Diary, a precursor — stylistically and from a storytelling point of view — of Meerkat Manor: The focus is on individual family groups, filmed over a period of time (in Dynasties’ case, day in and day out, over two years). Dynasties’ producers have promised a grittier journey into the natural world with this new series, grittier anyway than anything in Planet Earth. 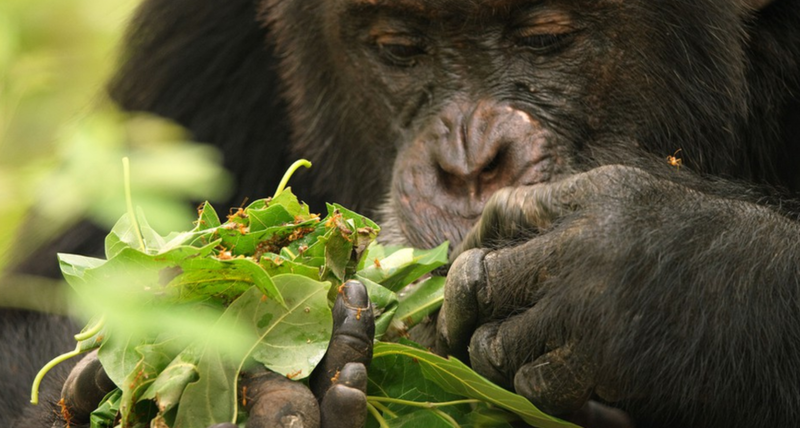 “The animals are extraordinary creatures in their own right and they live amazing lives,” Gunton said in a just-posted interview with BBC Earth’s online media service. “But they're also animals that have to share the world and compete with humanity. They are in trouble. There is an environmental subtext to this; all these animals are in decline because there isn't enough space for them. We tell incredibly dramatic stories of these animals living really difficult lives against their rivals, their enemies and each other, and that's hard enough. But when you superimpose them also having their space taken from them by humanity, which adds to the pressure, it almost feels unfair. “Hopefully, I think it's going to make people think about our relationship with nature and also what goes on in nature in a way we very rarely see. The realities of these animal’s lives. Sir David Attenborough says these are important films, they're real documentaries. They tell a truth not often told. Attenborough himself defended his approach in an interview just days ago with BBC News. “We all have responsibilities as citizens, but our primary job is to make a series of programmes which are gripping, truthful, and speak about something quite important,” Attenborough said. “These aren't ecological programmes. They're not proselytizing programmes. They're not alarmist programmes. What they are is a new form of filmmaking, and a new form of wildlife filmmaking. “What we have said is, we will show what happens. We are not going to tart this up, we're not going to distort it in any way. If it's a triumph, fine, if it's a tragedy, that too we will show. As a counter-view, the respected environmentalist and Guardian editorial-page columnist George Monbiot penned a furious denunciation of Attenborough’s approach earlier this week (links to both articles below), and more-or-less accused Attenborough of betraying the living world he professes to love so much. By knowingly creating a false impression of that world, Monbiot argues, Attenborough is unwittingly playing into the hands of the planet’s destroyers, not its defenders. Monbiot argues that since just one scene in Blue Planet II’s final episode caused a sea change in the way millions of BBC viewers in the UK view disposable plastic in today's oceans, he could have done so much more if the entire series were rooted in environmental message-making. Just as compelling an argument could be made that, had Blue Planet II been an environmental screed, millions of viewers would have given up on the series long before that point in the program. Who believe? Who is right, and who is wrong. I can see the strength of both arguments. Based on my 25-plus years of experience covering the TV industry in my previous incarnation as a media journalist and critic, I lean toward Attenborough and his understanding of the way TV audiences think. That’s not to say the question of environmental ruin and degradation should be overlooked entirely. Attenborough doesn’t do that anyway, regardless of what some of his more ardent critics say. Es nidditmir de neshuma, as they say in Yiddish. Dynasties premieres Sunday, Nov. 11 on BBC One at 20:30 GMT, and Nov. 17 on BBC Earth in Canada. Americans will have to wait until Jan. 19, 2019, when it finally makes its debut on BBC America. Newer PostOne tree can make a million matches; one match can destroy a million trees. Older PostWildlife Photographer of the Year 2018: The experts have spoken. Now it’s the people’s turn.